SHOP / FINISH ROOM Supplies & Reference | Page 1 of 2 Professional Finishing System® products. 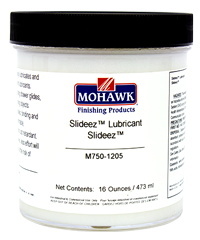 By following the steps shown in this interactive DVD, you will be able to confidently recreate new and traditional finishes using Mohawk's wood finishing products. Learn wood finishing at your own pace. Packed with information to view and review. Give your reproduction and new furniture the look of a priceless antique. Creating Historic Furniture Finishes demonstrates the simple tools and techniques needed to finish furniture like artisans used hundreds of years ago. 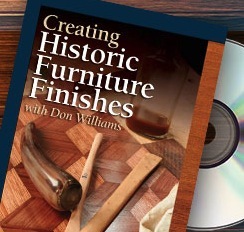 Join Don Williams and get the answers to your curiosities about historic finishing. You'll learn to prepare your tools and materials to apply your newfound knowledge. Learn from the historic finishing professional in this DVD 2+ hour. as a Senior Furniture Conservator at the Smithsonian Institution. (1910 Reprint) 104 pages, 5.8 in. x 8.3 in. great for in-shop use, lays perfectly flat & folds back on itself. Pagination and format is an exact facsimile of the original book. A valuable resource for those working on antiques. 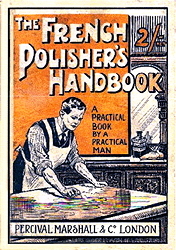 Several historic finishing recipes are included. The book includes some fascinating 'lost' information and recipes for furniture stains. Finishing and restoring using traditional techniques. this finish is easier than most people think. over another to produce a tough, high-gloss finish. typical wood finishing tints. 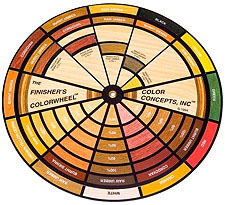 The interconnected discs rotate to show how Raw Umber, Burnt Umber, Raw Sienna, Burnt Sienna, Van Dyke Brown etc. can be intermixed to create specific wood tone colors. 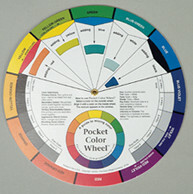 Use the color wheel to help take the guesswork out of blending colors. PRANG Rotating COLOR WHEEL - 5 1/8 in. color mixing for furniture finishing. using a revolving disc with windows showing resultant color mixes. Highly recommended to every finisher. --- Instructions Included. is a specially formulated blend of solvents. foreign material from bare woods and aged wood finishes. can be eliminated with use of De-Waxer #741.
without stripping the wood of natural oils or its patina. It can be used for restoring a worn finish or to renew a favorite piece. 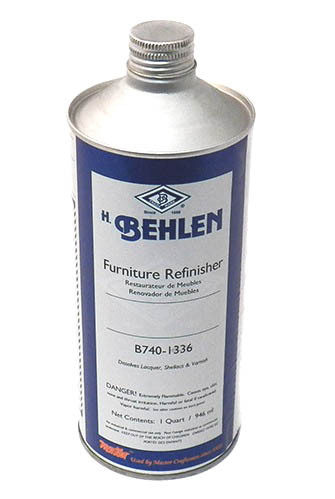 Furniture Refinisher is an excellent 'after wash' for furniture that has been stripped using conventional finish removers. Furniture Refinisher leaves the wood rich and warm, and free of residues that can cause a white haze, as do many other refinishers. Never use this product around an open flame. These extra strong (8 mil thick) and extra long (12”) medical grade gloves provide added protection for the wrist and lower forearm. GlovePlus Heavy Duty nitrile maintains excellent sensitivity while being twice as thick as standard nitrile gloves. food preparation, and child care. • Micro-roughened for non-slip wet gripping power. We love these gloves they wear well & can be reused. • 50 gloves per box. Select: Ex-Large for larger hands - Large for medium sized hands & Medium for small hands. 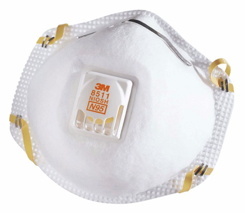 Recommended for preparation before finishing NIOSH Approved: N95. Two-strap design with welded point attachment helps provide a secure seal. Proprietary Cool Flow Valve reduces heat build up, moisture, and fogging. Overall width: 27 in. -- length: 35 in. A good tool to help with color selection blending & matching. All 15 Colors, on wood, with a beaded chain, in fitted box. Each wood sample is labeled with product number & color name. Natural Bristle Single fill, Only (1/4 - 5/16 in) thick. Classic glider design, ideal for Shellac & Varnish. shellac, varnish, and faux finishing of woodwork and furniture. Genuine OMEGA, made in Italy. Round, versatile, natural nero bristle, shellac or varnish brush. 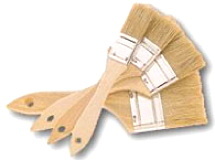 Chip Brushes are disposable utility brushes made with white China bristle. Use for applying water or alcohol dye, stains, paint removers, glues, bleach, epoxies, dusting wood and metal chips, and for cleaning machinery. Our favorite brush for all water or alcohol solvent dye materials. enamel, latex, oil paint, stain and varnish. Will smooth and cover evenly with fewer strokes, eliminating brush marks or loose bristles. touch-up repairs with Behlen Furniture Powders and 2 Minute Repair Liquid. A select brush for adding fine grain lines to spot finish repairs with Furniture Powders and the 2 Minute Repair Liquid. 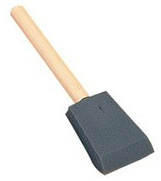 Round ferrule Dull Black Wood Handle, ideal for laying in missing grain. Overall length ... 6.75 - 7in. 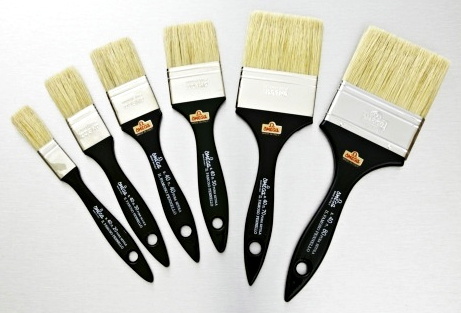 The 4004 series Glaze Brushes are the ultimate in glazing brushes. The 4004's are hand-assembled, badger and natural hair, flag bristled, cup chiseled brush. The bristles secured in a double epoxy setting (for less chance of hair loss), are attached by a durable brass ferrule to the natural finished thin wooden handle for better balance when flowing on finish. 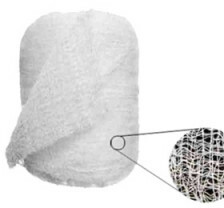 filter foreign matter or undissolved solid particles found in stains or finish coatings.Paper Cone 6 in Dia., full flow cloth mesh tip for no finish left in the strainer performance. of medium Cheese Cloth first. Use Fine Mesh for final straining of shellac, varnish, lacquers, and most any furniture finish, especially when spraying. The semi-paste consistency lasts much longer than other forms of lubricant. Drawers, windows, and doors work easier with an application of Slideez™. It prevents binding of all moving parts. • Slideez™ is also good for starting screws. • An excellent rust preventative for tools used in gardens and metal objects in storage. Slideez™ will not stain or cake and is non-flammable. •• Contains NO Silicone. and finish coats when shellacking, staining, varnishing, antiquing, and painting. from any surfaces that would be considered clean and ready to finish. 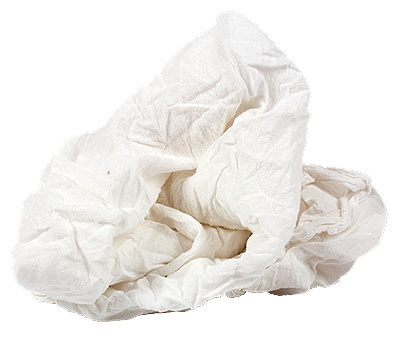 For reuse, and to protect from contamination, store cloth in a reclosable bag. Premium Aerospace quality; Bleached, Bright White, Soft, 100% Cotton. 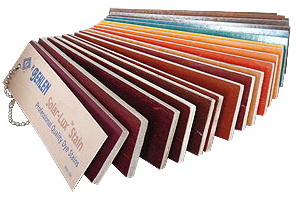 lacquers, and in multiple layers to strain shellac, stains, varnishes, and paints. Excellent for polishing furniture, buffing wax & general dusting. 100 - Precut Pieces per Roll = 60 Stretched Yards / Roll. 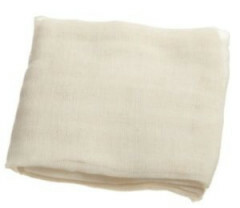 Our 100% cotton cheese cloth is a medium to medium-tight weave. A non-graded product, however generally consistent and in good usable sizes. 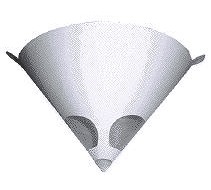 Excellent for use in the finishing shop for polishing and filtering. Clean, lint free, lightweight, soft textured, closely woven cloth prevents streaking. • Qualasole™ the modern “French Polish"
Also, an excellent cloth for polishing. 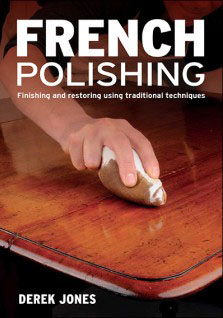 The classic traditional filler for French polishing pads. or ends of loom warp threads. Trace cloth / French polishing cloth. • Assorted 100 % White Cotton. 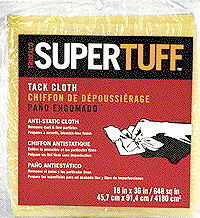 • Cut to assorted rag sizes. 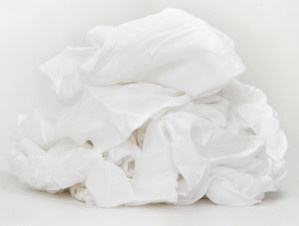 The absorbent nature of cotton material is excellent for Cleaning & Wiping Stains, Dyes, and Glazes. 1 Pound - Zip-Top Plastic Bag - Assorted rag sizes. The perfect and preferred sponges for faux finishing. 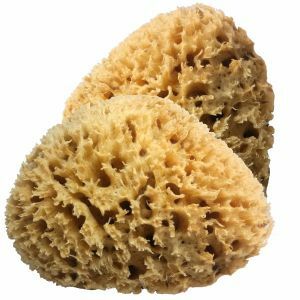 Native to the waters of Florida, sea sponges are 100% natural and biodegradable. Use for faux finishing, marbleizing, texturing, sponge painting, pottery, ceramics, staining, dye application, paint stippling and more. Natural Sea Yellow Sponges are collected from the warm clear waters of Rock Island, Florida, Gulf coast. 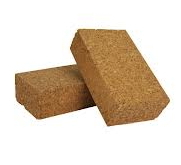 A durable and soft sponge of good quality. The divers collect these sponges with great care, preserving the ocean bed for lasting and fruitful harvest year after year. 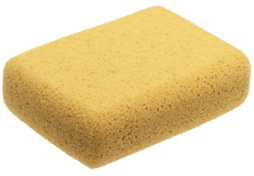 • Denser and more durable than imported sponges. uniform scuff sanding. Cover with Micro Mesh paper for hi-gloss finishes. or solvent base compounds for buffing. Non porous, won't absorb grit, washes clean. Sized to fit comfortably in the hand, 3 3/4 x 2 x 1 inches. CORK BLOCK - 2x4x1 in. Cork is more aggressive than felt when used for rubbing finishes. 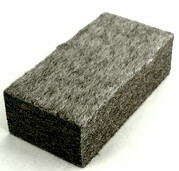 FELT BLOCK - 2x4x1 in. and yield the classic hand rubbed look. Keep a separate block for each rubbing grade. Store separately to avoid grit or dirt contamination. 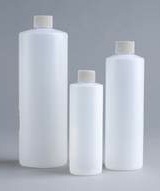 Cylinder Round Natural (translucent) Plastic Bottles. Includes the Flip-Top Spout Cap. of measuring or dispensing small amounts of dye, solvent, or shellac. or shipping paint and other materials. Made of tin plated steel. Lids are included. Use for storing and mixing stains and solvents. 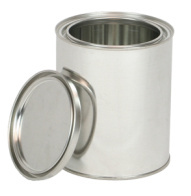 Metal cans must be used for oil based stains and finishes. Designed to facilitate quick, easy, and even application of grain fillers. Also aids in removal of excess filler, reducing sanding time. If you hate grain filling, the spreader makes the task manageable! 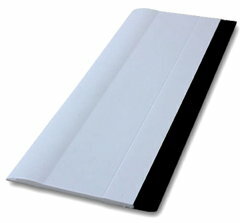 6” in length with a single curve profile and square corners. It is a double edged tool designed to quickly and easily apply grain fillers. The flexible rubber edge allows for maximum conformity. 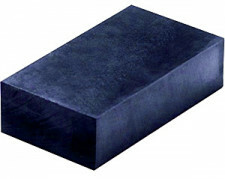 Use the rigid edge for heavy applications and the flexible, rubber based edge for lighter applications. 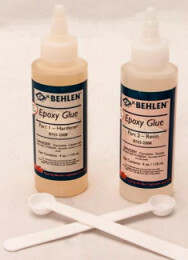 Epoxy adhesive is equally valuable on service calls and in the workshop. The 5 Minute retains all the physical strengths of a standard epoxy. 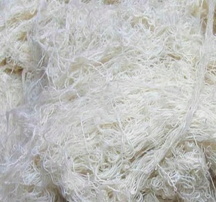 the resin is mixed with the hardening agent. of quick setting even in thin films at low temperatures. and nearly all other types of materials including concrete.